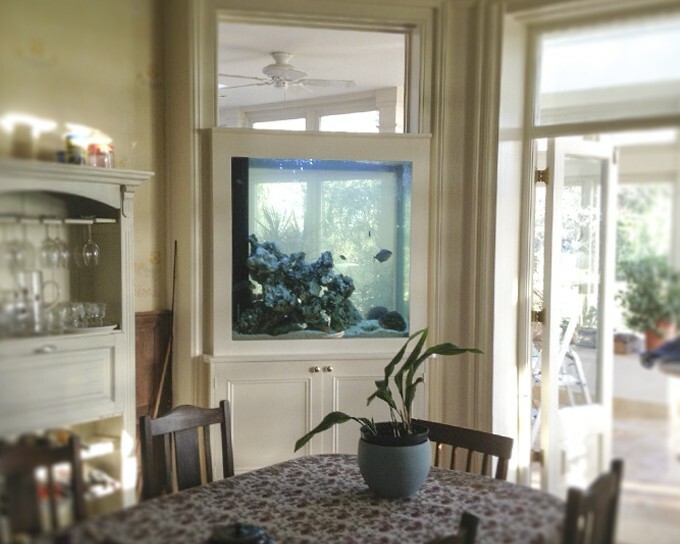 This dining room bespoke aquarium sits between the dining room and conservatory of a period country house. It allows light into this side of the dining room whilst providing an interesting talking point. Originally there was a window where the aquarium is now situated, using an aquarium in this way is a spectacular way to finish off the room. A dining room aquarium certainly creates a talking point.